He is a graduate of directing at the Drama and Puppetry Faculty of the Academy of Performing Arts (VŠMU) in Bratislava. In 1996–1998 he was on his study stay at the Circle in the Square Theatre – Theatre School in Broadway in New York. In the 1990s he took part in various TV projects as a director and scriptwriter. He also worked on an animated film. In the 1999/2000 theatre season he became the artistic director of the Theatre of the Slovak National Uprising in Martin. 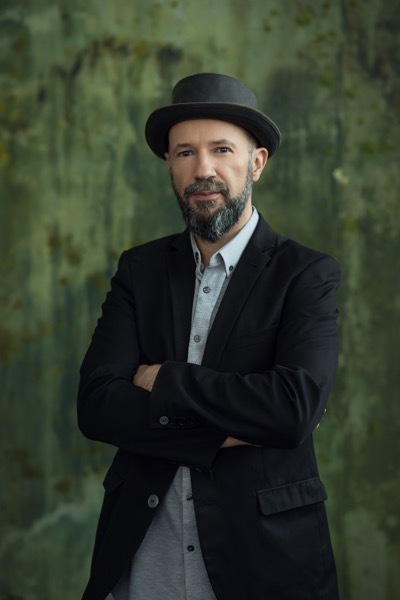 In 2006 – 2009 he worked as the artistic director in the Town Theatre in Zlín, Czech Republic and from 2010 he works as the artistic director in Švandovo divadlo in Prague. As a director he co-operated with a number of Slovak and European theatres (Czech Republic, Hungary, Italy) and many of his productions received international awards. Sporadically he focuses on dramatic writing.